Anytime I'm stuck indoors - be it a rainy day, snowstorm, or this latest "Arctic Chill" - I love to use the time to try new recipes. Especially of the dessert variety. 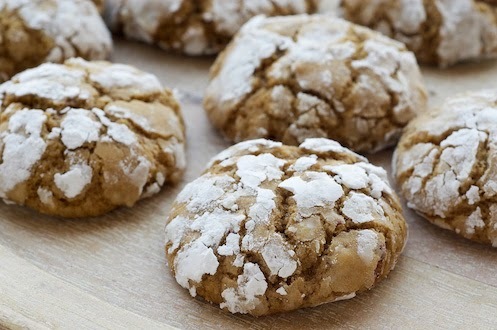 There's nothing cozier than the smell of fresh, warm cookies on a cold day. See - this is why I don't believe in food-related New Year's Resolutions. Seriously, who is successfully dieting during this cold spell?! I've been trying this week and it's been miserable. So here are 3 of my go-to cookie recipes for cold days. I highly recommend trying out one (or all) of these recipes during this crazy winter we're having. Worried about eating the whole batch? Share with a neighbor! I guarantee they'll appreciate it. Or ask some friends to brave the cold and invite them over for a little Arctic Party. Note: I didn't create these recipes. I do have a signature cookie that I'll share with you another time, I promise. Click the links in the captions to go to the original recipe source. I love this gourmet twist on a classic. 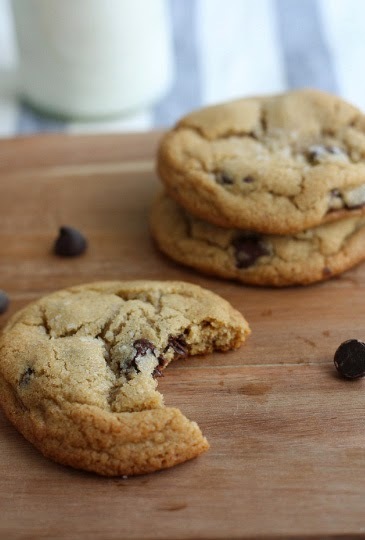 It's a grown-up chocolate chip cookie. 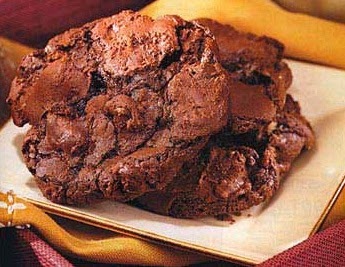 decide between a cookie or a brownie. I use caramel instead of toffee.